We report experimental generation of a family of light beams which follows a hypocycloid shape. These hypocycloid beams were created by uploading hypocycloid-shaped slits into a digital micromirror device (DMD). Creating hypocycloid beams uses the fact that the diffraction of light takes the shape of the evolute of a slit. This method may have applications in the creation of micro-gears by photopolymerization. J. C. Lorenzo, M. Revilla, and N. Hermosa. 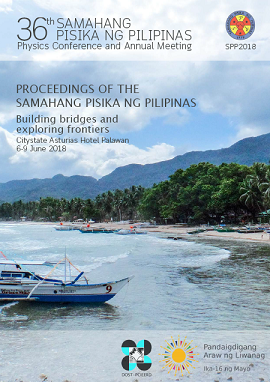 Formation of hypocycloid-shaped beams from dynamic hypocycloid slits, Proceedings of the Samahang Pisika ng Pilipinas 36, SPP-2018-PC-26 (2018). URL: https://paperview.spp-online.org/proceedings/article/view/SPP-2018-PC-26.